To celebrate the launch of the Business Climate Survey, 2015-16, we welcome you to join us for an After Work this Friday! The annual survey is conducted by the Swedish Chamber of Commerce India in partnership with Embassy of Sweden in New Delhi, Consulate General in Mumbai and Business Sweden. The survey brings to light the experience of doing business in India as perceived by the Swedish business community. It provides an insight of the expectations and risks for the future along with identifying the most important policy areas that have to be addressed. This year’s survey captures the input from 141 Swedish companies established in India. 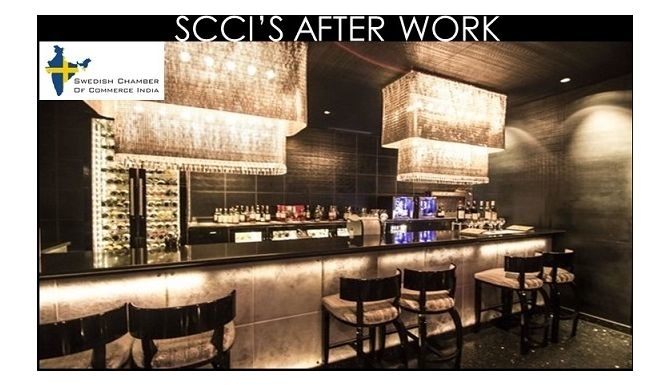 Avail special discount on food and beverages as a guest of SCCI!